Just eight years after being established, the University of Johannesburg (UJ), has moved into the top 4% of universities in the world. Ranked among the top 650 global institutions for the 2013/14 season by Quacquarelli Symonds (QS) World University Rankings released on 10 September, UJ is one of seven ranked universities in South Africa (SA) and one of 13 ranked universities in Africa. Remarkably, eight-year-old UJ is the youngest of all ranked universities in SA and in Africa. With the exception of UKZN which is less than 50 years old, all other SA universities which are ranked are more than a hundred years old. Similarly of the six other ranked universities in Africa (all of which are Egyptian), only the University of Ajou (a South Korean University with a presence in Egypt) is less than fifty years old. All other ranked universities on the continent are more than 50 years old. The age of a university is a critical factor in all QS ranking indicators, especially for academic reputation and citations per faculty. The older the institution, the longer it has had to establish an academic reputation and the longer it has had to build up the number of citations per staff member. Therefore, the longer the period considered for the purposes of ranking, the better the prospects for the university. In this regard, the performance of UJ over an eight-year period is simply exceptional. Furthermore, UJ is the only comprehensive university which has no medical school to be ranked in SA. Medical schools are globally recognised as great fountains of research output production. Notably, except for Rhodes University, which is ranked as a ‘very high research’ university, UJ is ranked as a ‘high research’ university alongside the rest of the five other ranked South African universities. The number of students at the university is also a crucial factor in determining its ranking. Of all ranked SA universities, QS classifies UJ as “large”, according to the number of full time degree-seeking students, meaning the institution is competing against medium and small-sized universities which would fare better due to their smaller numbers. Continentally, only Ajou and Cairo universities are ranked ‘very high research’ universities, the rest of the ranked universities on the continent are either equal to or lower than UJ. Traditionally, considered a non-research intensive university in South Africa, (certainly in comparison to all ranked universities in SA), UJ has, through its QS ranking redefined its place among national and global universities. The outstanding showing of UJ is further underscored by exceptional performances in several QS sub-categories. In the subject area of Arts and Humanities, UJ holds position number 331 globally. For the category of employer reputation – which speaks to the employability of its students – UJ holds the admirable position 392, while for international faculty it is positioned at 370. These are terrific returns for SA’s youngest ranked university. 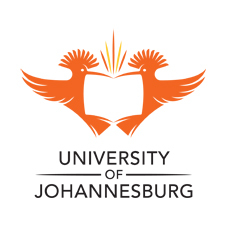 UJ’s ranking among the top 4% of universities globally comes on the heels of UJ’s recent inclusion as the first and only African university to be accepted into Universitas 21, a consortium of top research world universities. Its membership of this prestigious consortium and now its QS ranking are seen by the University leadership as an important endorsement of the growing international stature of UJ. For more information on the QS World University Rankings, you can visit Top Universities or QS Intelligence Unit. Article issued by University of Johannesburg.